Please allow me the honor of hand painting a piece of wearable art just for you. Using an organic cotton blend canvas with a touch of silky lycra for stretch and comfort, and plant based dyes, I will revisit the artwork shown above and hand paint it again just for you. Your rendition will be a one of a kind piece of wearable art with welcomed subtle differences. I imagine that you may already be familiar with my artistry, but if not, browse our Instagram, Pinterest, or Facebook pages. We need your assistance with sizing. Please be sure to input your measurements in the designated areas on this product page. This will guarantee you the right size, and will prevent the very costly mistake of an artist making the wrong size. We just can not afford to make those mistakes and truly appreciate the time you have taken to review the size chart below. Please acknowledge and agree to the terms of purchase by checking the box above after reading the following information below. Dear Wonderful Clients of mine, your wearable art will arrive in approx. 12-18* business days from the date of purchase. Be sure to check the estimated arrival date for each product. You can view this information just below the gallery price on each product page. Thanks truly in advance for your order and support, and for taking the time to read and AGREE to our ORDER POLICIES and DELIVERY NOTICES here on this page. Due to unprecedented demand for 18 months straight, we can only accept orders from clients that are fully aware of, and content with, even happy with their order arriving up to 28 days from date of purchase. However, 85% of our Surprise Art orders arrive within 12-18* days. Your upfront payment guarantees your place in our client lineup and is eligible for cancellation within 24 hours of purchase. If this time frame is not doable for you, please notify us ASAP if you have already ordered, we may need to cancel your order. Returns- We gladly accept returns for store credit and or exchange up to 7 days after receiving your wearable art, for defective items. 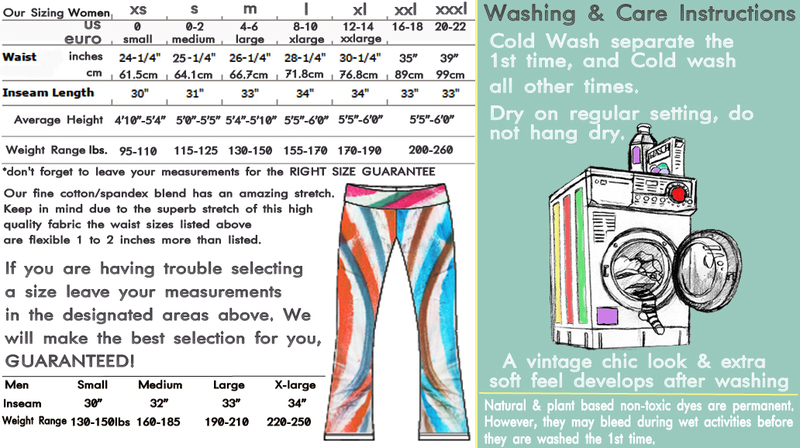 We also Guarantee you the best size if you leave your measurements in the designated areas on each product page. We do not do refunds because we are unable to refund the Artist's time or pay. After initiating and submitting a return (r.m.a.) by logging into your account and selecting the return option, you will receive a confirmation email with your return details. Please do not return items prior to RMA submission and receipt of a confirmation email, this will substantially delay the process, and we want to correct the situation as fast as we can. Given the nature of making made to order, one of a kind wearable art pieces, delays do occur. We are unable to RUSH orders for any reason. We will not be held responsible for any specific date of arrival. In the event of any delays on your order, we will be sure to contact you and most often reward you for your patience:) We know how important it is for you to stay updated on your order's status. Each step of the way every 3-5 days you will get a status update. No need to email us, we've got ya covered. 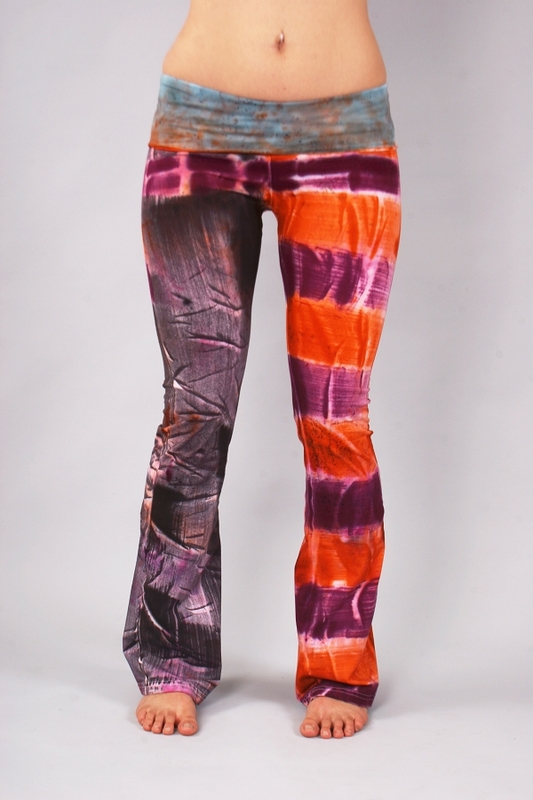 We'll stay away from the computer and stick to painting pants in the studio:) 9.8 out of 10 customers are ecstatic about their purchase once they slip into them and strut around town in them. get ready for all the nice compliments. Custom orders are often made and or painted by hand. These orders may take up to 6-8 days to create given cure & art prep times. 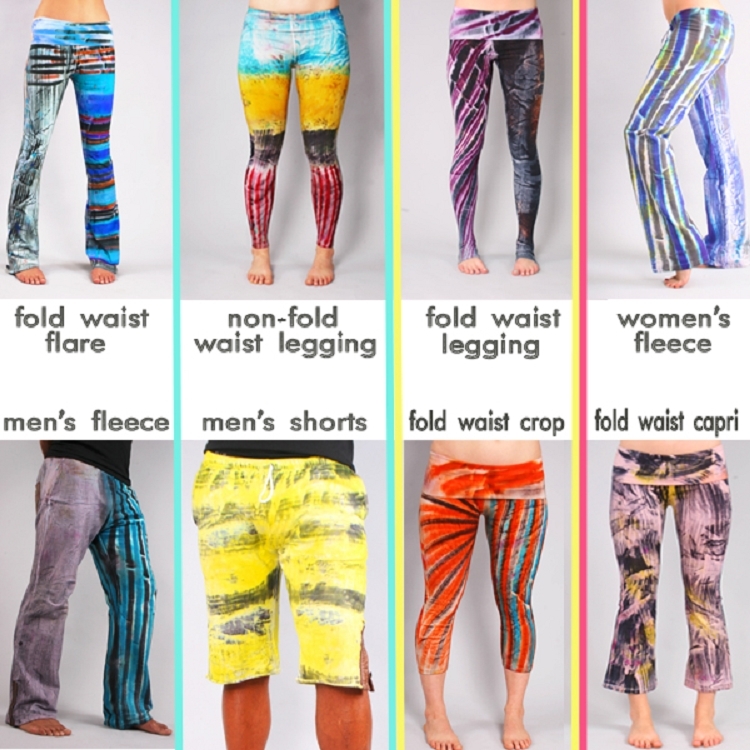 It's not uncommon for us to make more than one attempt creating your pants. The picture gallery below is intended to show you the styling and fit only, not the color schemes or art themes. We will use our own high quality U.S.A. made blank garment as a canvas to hand paint and create a one of a kind Surprise Pant just for you. Ready to be hand painted for you. ETA: 14 to 18 days Shipping is on Us! We'd love to see you on I.G.